By using Sirona's ® CAD/CAM technology and 3D X-ray technology (Cone-Beam CT) we can now fully integrate these data sets into one single design screen, allowing us to reverse engineer implant cases and place implants in positions which avoid vital anatomical structures (nerves and sinuses) yet still allow for ideal life-like tooth restorations. 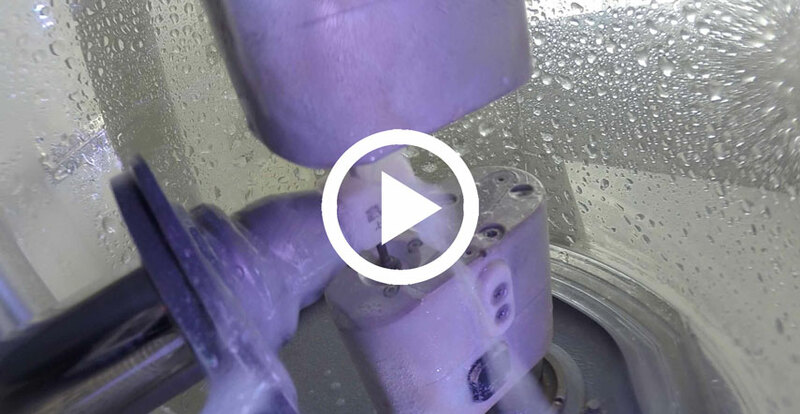 Implant surgical guides are milled in-office or 3D printed. These guides provide precision of 0.1mm from the virtual to the actual surgery. Guided surgeries are faster, more predictable and heal more painlessly than previously possible. With a microscope, dental procedures can be performed more accurately and reliably due to the increased magnification and shadow-free light. 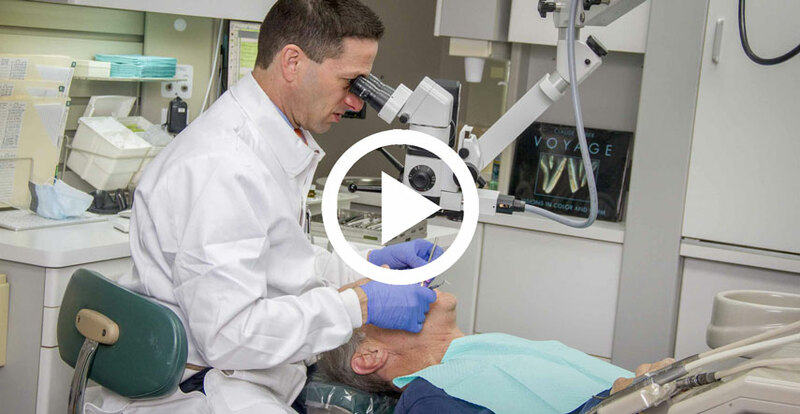 Our operating microscope can increase magnification up to 25x, expanding our ability to diagnose and treat the most minute dental problems, enabling us to truly provide the most minimally invasive dental care possible today. For example, fissure caries and microcracks cannot be seen with the naked eye but are highly visible with the aid of a microscope. What once would have needed a crown, can frequently be restored with smaller restoration when microscope assisted preparation is combined with a CAD/CAM restoration. Our office uses the newest 3D Cone Beam imaging solution from Sirona®. Sirona's® technology extends diagnostic X-ray imaging potential for better diagnosis and treatment. The visualization tools available in the software assist us with better, more certain diagnoses. They allow our office to plan and explain treatments visually to our patients with greater clarity and accuracy. Conventional images taken in most dental offices are two-dimensional. We're seeing things we couldn't see before. 3D images make the X-ray diagnosis and implant treatment safer, more predictable and faster. The Sirona® system provides a three dimensional image of the patient on the computer screen and implant surgery is performed virtually. Customized surgical guides are milled with CEREC® CAD/CAM enabling placement of implants exactly as virtually designed. This allows for faster more comfortable surgery and healing. CAD/CAM stands for Computer-Aided Design/Computer-Aided Manufacturing and has been used extensively in many manufacturing and engineering fields. A little over two decades ago, at the University of Zurich, the technology was used to create what is now called CEREC®, a method which creates porcelain dental restorations in a matter of minutes instead of days. The computer program displays a 3D scan of the teeth and gums, allowing us to precisely design the tooth restoration with functional and esthetic characteristics in mind. Once the restoration has been designed by the computer and edited by us, the information is sent to a sculpting machine (milling) which creates the restoration to the exact specifications of the design through CAM. There is no need for impression taking, temporaries or unnecessary cutting of healthy tooth structure. The technology is so precise that dental restorations made by CAD/CAM often fit better than those made by hand in a dental lab. Patient satisfaction is being increased simply because you can have your tooth repaired in a single day, instead of having to return for repeat appointments. The most effective use of CAD/CAM in dentistry is the same-day porcelain crown, inlay or onlay, which removes several steps, including using a temporary while a permanent restoration is made at a laboratory. With CAD/CAM your restorations are placed in a single appointment. Using metal free materials that are the closest match to your natural enamel, CEREC® gives you the highest quality restorative care. By using CAD/CAM technology we are in complete control of the final result. Since the crown, inlay, onlay or veneer is designed and fabricated from start to finish by us, we have total control over how it will look and fit. In addition to having different material choices for these restorations, we are also able to mill provisional bridges for more extensive cases. CAD/CAM restorations are better-fitting, more durable and more natural looking (multi-colored and translucent, similar to natural teeth) than previously fabricated restorations.